If there is one SEO technique that consistently shows up on everyone's site optimization checklists, it's XML Sitemaps. They're certainly not a new SEO technique, but they are often misconfigured or forgotten both of which can leave a site severely handicapped. Introduced by Google in 2005, XML Sitemaps help search engine robots better crawl websites and be informed of changes to the sites quickly. Before this standard was introduced, many webmasters used HTML based sitemaps for the same purpose, however the XML sitemap protocol is a far more robust method and has eliminated the need for HTML sitemaps (unless your site uses them for human visitors). 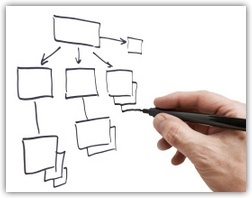 XML sitemaps aren't for human/browser viewing, they are only used by search engines. Let's dig into the details on this must do SEO practice. XML Sitemaps are a text based file that function as a very detailed map for search engine spiders to discover content on a website. They are simply a text file with a list of URLs that you can make available to tell a spider what files are on your site. Sitemaps also make use of metadata to help spiders discover when a file has changed, when new content has been added, as well as to describe rich media content like videos and images. The XML Sitemaps Protocol, which defines the format of all the different types of metadata is available at: www.sitemaps.org.